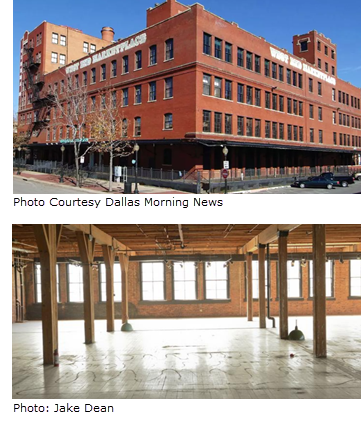 ​​ DALLAS – Construction wrapping up on the redevelopment of a 102-year-old historic West End building. The buildings new name will be Factory Six03, and plans to have a food hall destination on the ground floor. The proposed 10,000-sf food hall, named could bring six to seven different dining venues and bars to the West End​. Construction on the seven-story, 237,000-sf red brick building is slated for completion by mid-November 2017. Check out DFW Office and Retail Market Research.